Our goal is to provide a solid source of objective information on water and energy issues facing Southern California and the West; to preserve the regional history of water and electricity and show its role in the development and growth of the city of Los Angeles; to disseminate knowledge of the rich and diverse multicultural history of the greater Los Angeles area; and also to assist in the preservation of the city's historic records. 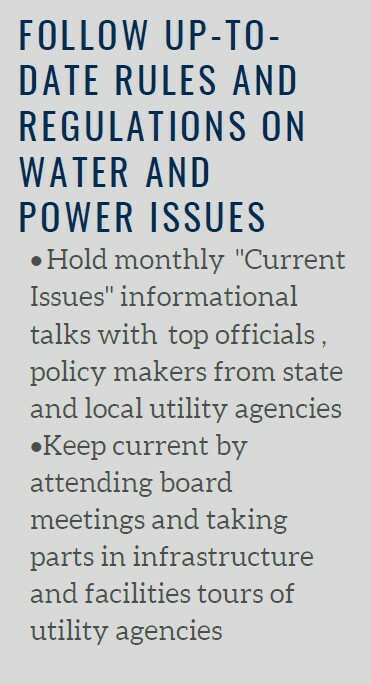 Because The Associates is an independent, membership-funded corporation, we are able to inform you, the public, about critical water and electric issues without constraints. 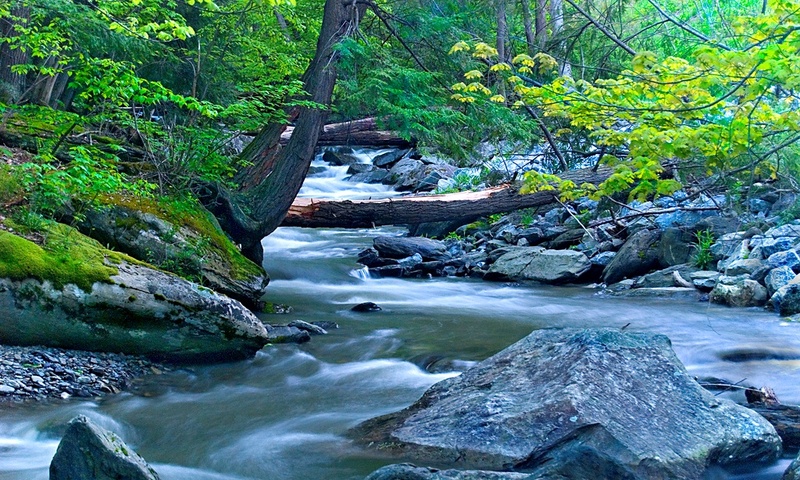 Consequently, our members’ expertise is routinely sought by local and state officials, Los Angeles Department of Water & Power, historians, authors, film makers, and many others as an informed, reliable resource. The best way to quickly see what we're up to is to visit our quarterly Newsletter Page and check out the items of interest to you. The old Pueblo de Los Angeles relied almost exclusively on the Los Angeles River for its water supply and thus its survival. In the early years water from the river was channeled through a distribution system of crude dams, water wheels and ditches. Los Angeles was incorporated as a municipality on April 4, 1850, but it wasn’t until ten years later that the City, through a lease contract with the LA Water Works Co., completed its first water system. Click HERE to see more in Water in Early Los Angeles. 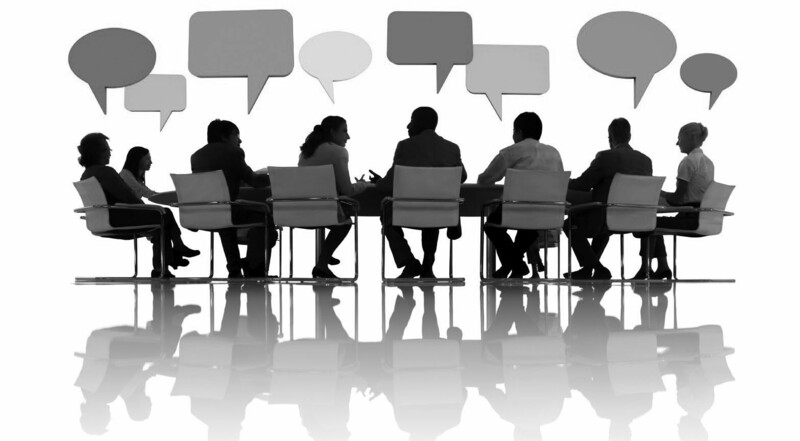 The Water and Power Associates Board Meeting is held on the second Wednesday of every month at Taix Restaurant at 1911 Sunset Boulevard in Los Angeles. The lunch meeting convenes at 11:20 a.m. and runs to about 1:15 p.m.
We are now opening up this meeting to the public to give those that are interested an opportunity to learn more about recent water and energy issues affecting Los Angeles and Southern California…and about some of our other efforts such as opening a new Brick-and-Mortar Museum on Olvera Street. ◆ May 8, 2019: Delon Kwan, LADWP Manager of Water Resources Development. The topic is “Major Water Issues Affecting LADWP and California Including the Mayor's Water Recycling Goal”. Space is limited, so please R.S.V.P by contacting Richard West at rawest@me.com. State mandated “Once-Through Cooling” regulations necessitate the replacement of existing coastal generation units. After numerous studies by experts in the field, staff recommended building new, lower-emitting natural gas fueled generation in the southern areas of the LADWP service area. Some environmental advocates, with a singular focus on implementing renewable power, have opposed this approach. The studies, however, found this to be the only feasible option for maintaining electric reliability. Other options, such as building additional High Voltage transmission which would take decades, are not feasible and do not address the need for local generation for grid stability and voltage support. The City of Los Angeles has grown to a metropolis of over four million people, due in large part to the availability of a safe and reliable supply of water. However, providing this supply took a tremendous amount of foresight, planning, and investment. Over 80 percent of the City’s water supplies originate from sources hundreds of miles away—about 54% from the State Water Project via the Sacramento/San Joaquin Delta, 20% from the Eastern Sierra via the Los Angeles Aqueduct and 10% from the Metropolitan Water District’s Colorado River Aqueduct, The remaining 16 percent of the total supply comes from local groundwater and recycled water. LADWP HISTORICAL EXHIBIT COMING SOON! The development of a Los Angeles Department of Water and Power (LADWP) Historical Exhibit in the Hammel Building on Olvera Street was approved on August 4th by the Commissioners of LADWP and the El Pueblo de Los Angeles Monument Department (El Pueblo). This new Exhibit will include the relocation of the existing History of Water Exhibit (which has been closed because it was not accessible to people with disabilities), expanded exhibits highlighting the role of the Department in the founding and development of Los Angeles, and present information on the sustainability efforts being undertaken by LADWP. The Hammel Building which fronts on Olvera Street and also includes access to North Main Street is particularly suited for this exhibit because it contains an exposed portion of the Zanja Madre (the original water distribution system of Los Angeles). It also has sufficient space (2,600 sq. ft.) to greatly expand the current displays to cover the historical roles of water and power in the development of the City of Los Angeles, as well as allowing for rotating exhibits focusing on current issues. The Memorandum of Understanding between the agencies stipulates LADWP will provide up to $195,000 for capital improvements, design, installation, and on-going presentation of exhibits. El Pueblo will be responsible for coordinating the development of the exhibit; providing staffing consistent with all the other museums in El Pueblo; and performing the maintenance and operations of the site once the project is completed. It is anticipated that the exhibit will open in about a year and that it will last about 10 years before major changes would need to be considered. The Water and Power Associates will be looking at the possibility of augmenting the staff of Museum through providing docent services for the exhibit (Click HERE for exhibit location). Visit our Museum Section and see how Water and Electricity contributed to the development of the City of Los Angeles. 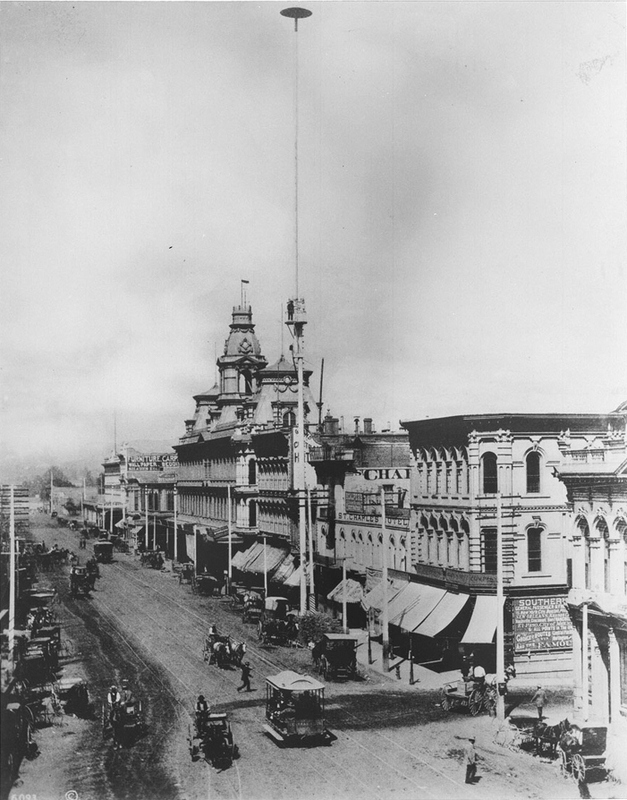 View of the 300 block of N. Main Street showing one of Los Angeles’ 1st electric light poles. It was 150 feet tall and located in front of the St. Charles Hotel. Note the man standing on the platform half way up the street light mast. In our Virtual Museum Section, we now offer links to special collections, papers and databases that provide unique and diverse perspectives into the history of the municipal water system in Los Angeles during the 20th century. These collections, hosted by the CSUN Oviatt Digital Library and sponsored by Metabolic Studios, offer researchers insight into the unique history of urban development and the evolution of the municipal water system in Los Angeles. Records in the collections chronicle the roles played by politicians and local politics; private business and industry; civic organizations; and local, state, and federal governmental agencies invested in providing water to the city’s rapidly growing population. We also offer a collection of Commission Reports that highlights significant events in the history of the municipal water and power system in Los Angeles. 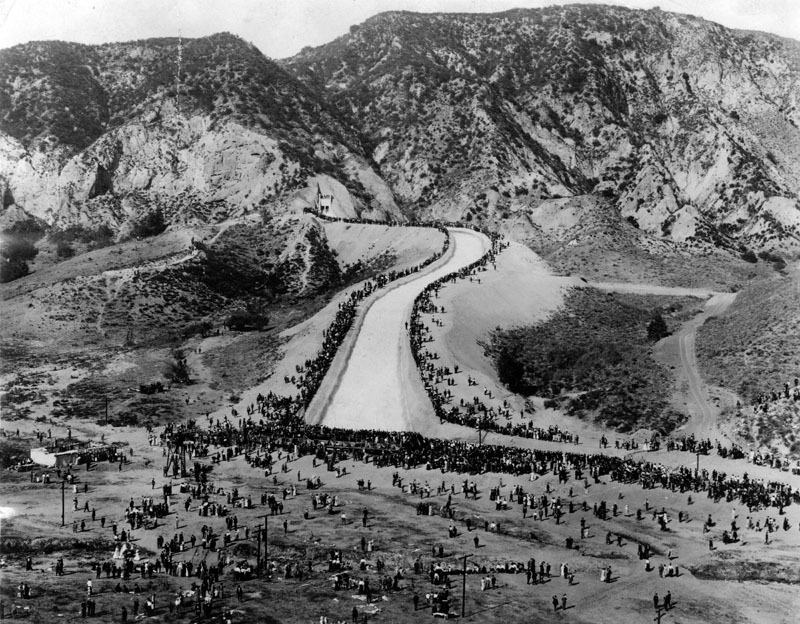 Featured are early reports related to the Los Angeles Aqueduct, Owens Valley and the St. Francis Dam disaster. For an insightful perspective on the relationship between Owens Valley and the City of Los Angeles following the construction of the LA Aqueduct as well as the dynamics between early DWP management and City Officials, read the transcripts of a Steve Erie interview with Robert V. Phillips, Chief Engineer and General Manager of DWP, 1972-75 (Both Mr. Phillips and his father knew and worked with William Mulholland and H. A. 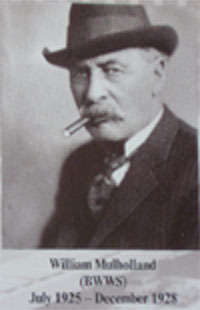 Van Norman). Have Something Historical To Share? We Want To Know! Do you have items to share? We would welcome photos of old buildings, early city views, correspondence, newspapers, early sports teams, and events that pertain to the History of Water and Electricity and/or the History of Los Angeles and Southern California in general. If you would like to retain the originals, we would be happy to scan the items and return them to you. Take a look in your attics, and think of what you can help us collect for future generations to enjoy! 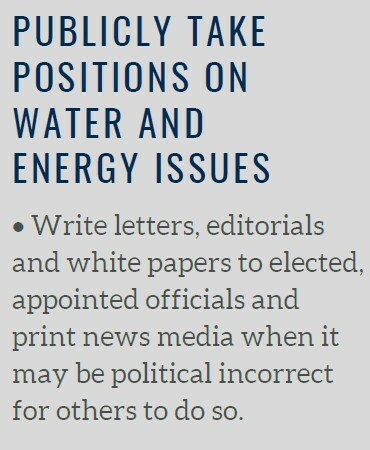 If interested, please contact us at: webmaster@waterandpower.org. Click the Donate button to make a donation via PayPal to the Water and Power Associates, Inc. and support our ongoing endeavors researching, documenting and sharing information about critical water and energy issues, and its history in the development of Southern California. Note: Water and Power Associates, Inc. is a 501 (c) 4 organization, and donations are deductible to the extent permitted by law.